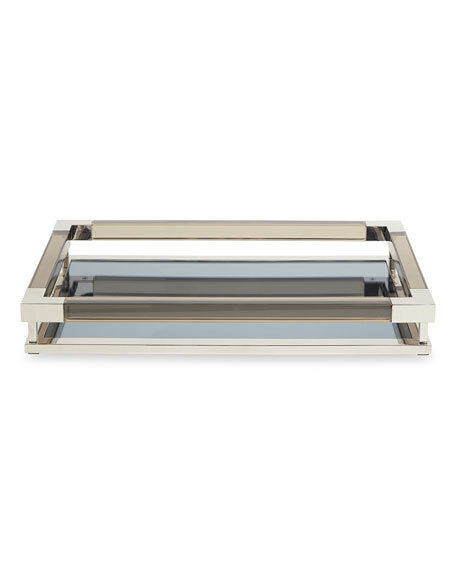 Acrylic and polished-nickel; smoke mirror. 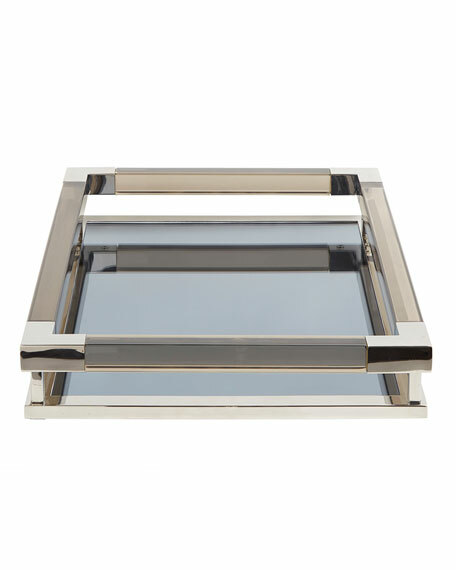 18"W x 12"D x 3"T.
Our Jacques Collection is the perfect blend of simplicity and glamour, modern and traditional. 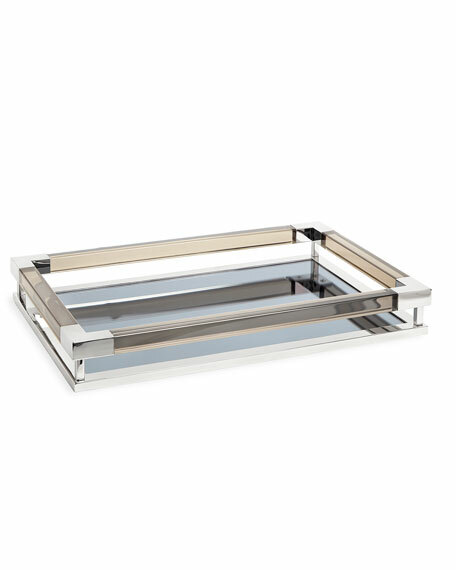 A petite version of our popular Jacques Tray, this size is perfect for a vanity, console, cocktail table, or even the kitchen counter. Corral your prized possessions without crowding your space.